Set in Johnson's former home of Portland in the late '90s and '00s, the author calls her debut novel a "homesick love love letter." She does an excellent job of conjuring the city's scrappier pre-gentrification era. More important, she's a gifted storyteller who's created an engaging set of characters who are so believable and companionable, you'll be very sorry to let them go. At the center of the novel is Andrea, a twenty-something starving artist and part of a group of friends who call themselves the Lesbian Mafia. Heartbroken from a recent breakup, Andrea starts secretly fooling around with a guy named Ryan--the lone male crush of her life. When she becomes pregnant, her entire world changes. Johnson writes tenderly and humorously about the heartbreak and joys of life. 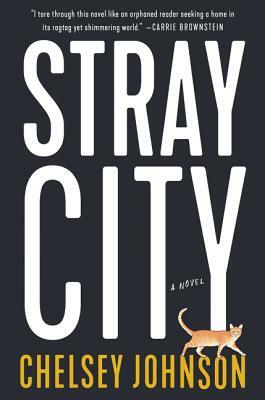 Readers from anywhere will enjoy the wonderful Stray City; longtime Portlanders will enjoy it even more.